Christmas will be here before we know it! It’s time for good little boys and girls to write their letters to Santa (they’re all good little children this time of year, right?). These Free Printable Letters to Santa will make the job easier. 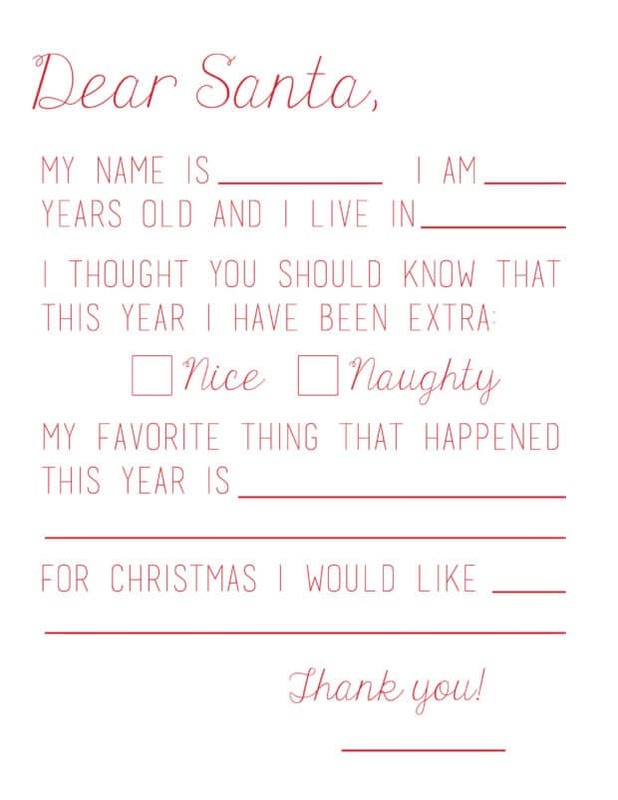 Just print and let your little ones fill them out with Christmas wishes before mailing them off to the North Pole. 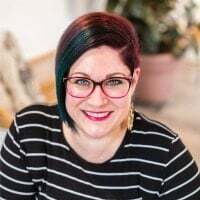 There are coloring pages, some are in the form of a fill-in-the blank template, and some have pictures and colorful borders, leaving the opportunity to write whatever. They’re all cute! Of course you’re aware of the North Pole address, but did you know there are a number of U.S. towns and cities with names related to the holidays that offer special postmarks? The first site in this roundup includes that information if you want to give your letters an extra-authentic touch. Looking for a letter from Santa Claus to your child? Check out these templates! Check out these Christmas Eve traditions you can start this year. Countdown to the holidays with these 15 DIY Advent Calendars. 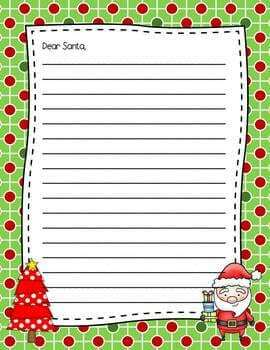 Children who are comfortable writing will enjoy using this free printable Santa letter template to draft their own letter. There are plenty of text lines for recording Christmas wish lists and letting Santa know whether they’ve been naughty and nice. 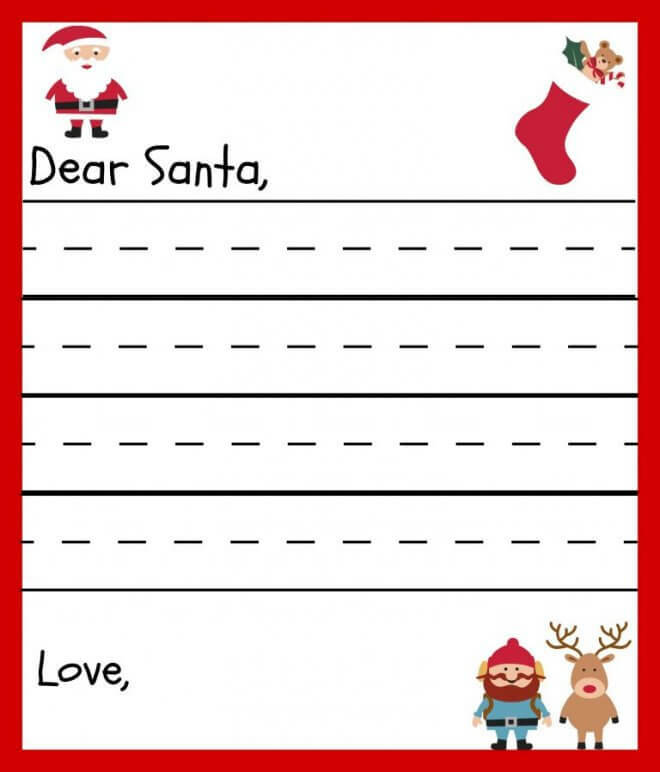 Perfect for the beginning writer, this Santa letter template has a partial letter composed for your child with fill-in-the-blank areas easy enough for them to complete. Information like their name, age, and where they live, plus their desired present from Santa are left blank for them to fill in themselves. 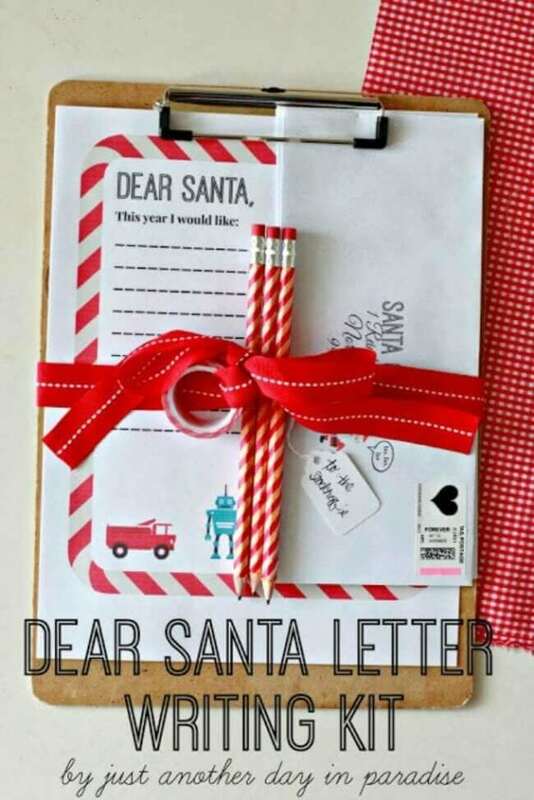 Here’s another great free printable letter to Santa! This provides a template which includes both small fill-in-the-blank areas and some larger areas for recording the nice things the child has done this year. Plus, there is an area where the child can list a few special Christmas wishes. 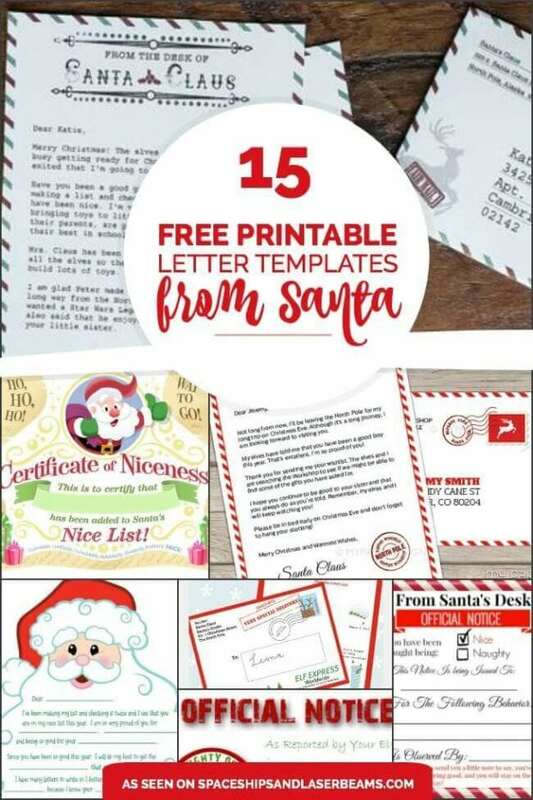 This darling free Santa letter and envelope printable comes with a bonus—the postage is paid by the elves! The envelope is addressed to Santa at the North Pole and includes blank lines for the return address. Kids will have fun decorating the envelope, cutting it out and assembling it before sending their letter to Santa. From Amanda’s Parties To Go! This vibrant free printable Santa wish letter will definitely get your children excited about Christmas! 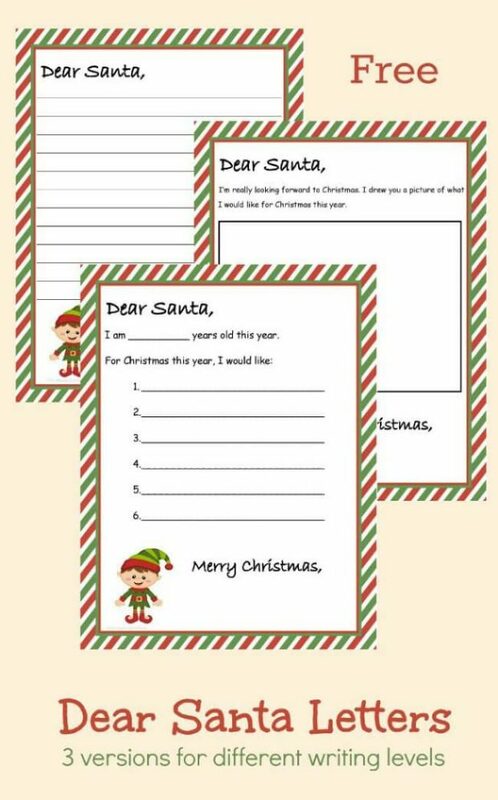 Help them fill in the area of the pre-written letter to include their top Christmas wish list items. They can slip their letters in envelopes to send to the North Pole. Do your children get so excited when the toy catalogs start coming in the mail before Christmas? Many children love pouring over them and circling the things they want. Do your children like sending Santa a letter with their toy wishes? 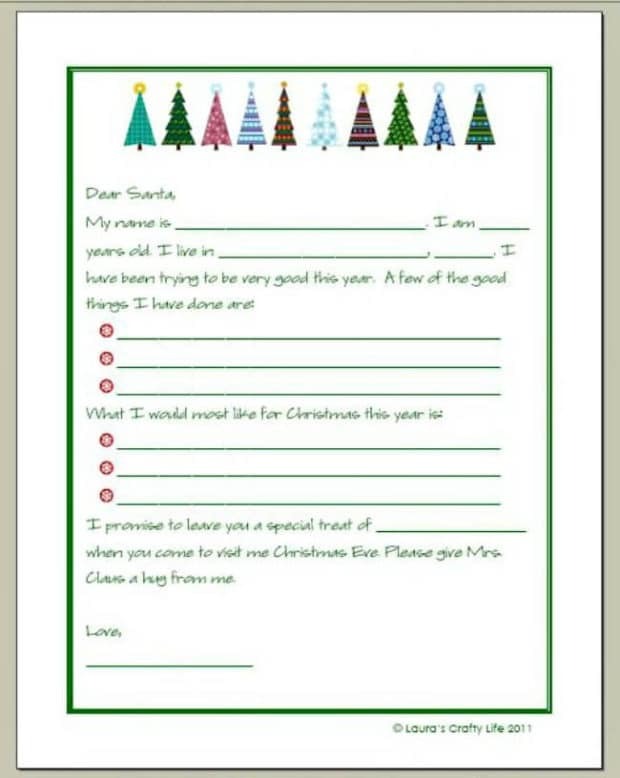 Continue this fun holiday tradition by printing out this free printable letter to Santa. 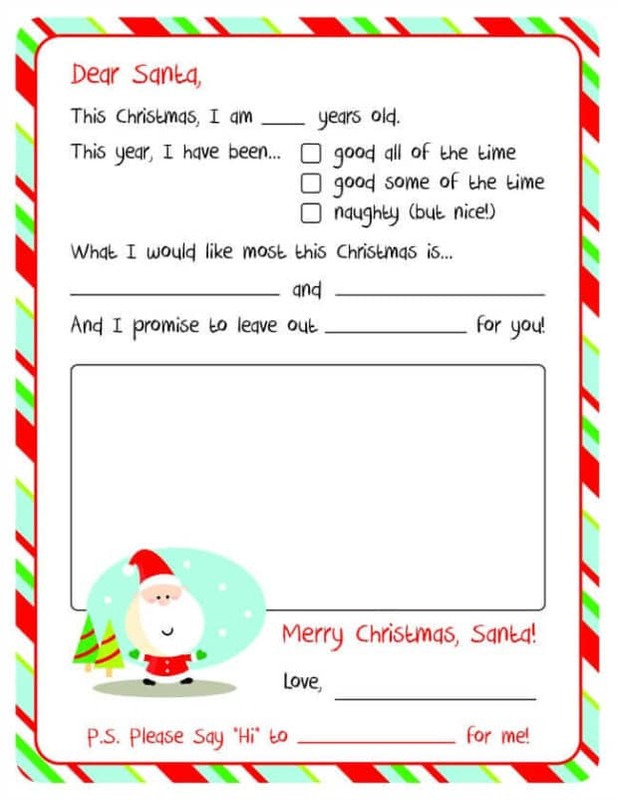 It’s a simple fill-in template with five blanks for recording Christmas wishes. Keep little ones busy this holiday season with these great craft sources gathered by the team at Spaceships and Laser Beams. Don’t miss these festive holiday ideas perfect for kids of all ages.